In this webinar, Jonathan LaCour - CTO of Reliam will dive deep into the 'Performance Efficiency Pillar' of the AWS Well-Architected Framework. This pillar focuses on the efficient use of computing resources to meet requirements and how to maintain that efficiency as demand changes and technologies evolve. Amazon Web Services (AWS) has spent years working with thousands of companies across all industries to create the most comprehensive collection of best-practices and guidance known as the Well-Architected Framework. This resource is available for organizations undergoing a cloud transformation who want to ensure their success on AWS. - Select the right virtual environment for your infrastructure instances, containers, functions, and elasticity. - Use CloudFormation templates to define your infrastructure and place it in source control along with your applications. - Use Amazon CloudWatch to monitor system performance with standard and custom metrics. - Trade consistency, durability, and space versus time or latency, to deliver higher performance. Thousands of hours go into making video games. They are large, complex software entities that require maintaining. In addition to writing the game code, game developers can become distracted with writing the infrastructure code responsible for building the infrastructure for hosting, maintaining and operating all the compute, storage, and network. Introducing the cloud to an already complicated regulatory landscape can make even the most experienced technology leader apprehensive. Whether migrating on-prem apps to the cloud or building cloud-native apps from the ground up, the AWS cloud’s sheer volume of services can be overwhelming, and even more so in the context of dealing with security and compliance concerns. However, once we break down the seemingly insurmountable amount of challenges, one can quickly see how leveraging AWS can actually simplify and improve IT operations. This is crucial in the healthcare and life science space, where the ability to meet and maintain compliance requirements is essential to supporting workloads containing sensitive PHI. Whether you don't know what it is, or have already built a container strategy, Kubernetes can be daunting to learn and understand, not to mention scale, secure and manage. Especially given the overwhelming list of options and tools available for performing just simple management and monitoring tasks. Leveraging container technologies is a great way to achieve a wide set of efficiencies related to scaling, performance and cost and getting a more cloud-native architecture quickly in AWS. And now with the general availability of the Elastic Container Service with Kubernetes in AWS, that task has become even easier. - Leveraging AWS Fargate and when that makes sense. In this webinar, Mission joins forces with CloudCheckr to cover the basics and best practices of Amazon Web Services cost optimization. Webinar attendees will learn how to identify common cloud spend wastes on unused and unattached resources, instance right-sizing, up or down, or across families based on utilization, and how to create significant savings with Reserved Instance purchases. The benefits of hosting your technology infrastructure on the public cloud are clear and compelling, but how can you be sure you're using the public cloud both efficiently and effectively? In today’s enterprise landscape, there is an ever-increasing need for lightweight services that can upload code seamlessly, collect and store large amounts of data, and provide accessible and actionable insights. By leveraging AWS Lambda, API Gateway, Amazon S3 and Amazon Athena, it’s easier than ever to build highly scalable, serverless web services that deliver relevant insights for your business. In this talk, we’ll review “Punytrack,” a simple location-tracking web service built on Lambda, API Gateway, S3 and Athena. Punytrack can collect location metadata from an iOS device, store it in an S3 data lake, and then make it queryable using Athena. For many workloads, Amazon EC2 spend represents the largest component of infrastructure costs. In this webinar, Mission CTO Jonathan LaCour will discuss how to optimize your spend using Amazon EC2 purchasing options and Mission incentive programs. Amazon created the AWS Well-Architected Framework to help IT professionals build a secure, scalable, and highly available cloud infrastructure. They did so with Five Pillars, including - Operational Excellence, Security, Reliability, Performance Efficiency, and Cost Optimization. Understand the concepts that make up the AWS Well-Architected Framework and how to achieve operational excellence. In this webinar, Jonathan LaCour - CTO of Reliam will dive deep into the 'Cost Optimization Pillar' of the AWS Well-Architected Framework. This pillar focuses on how to right size your services, save with reserved instances, utilize spot instances, and analyzing cost with cost explorer. In this webinar, Jonathan LaCour - CTO of Reliam will dive deep into the 'Security Pillar' of the AWS Well-Architected Framework. This pillar focuses on how to ensure the protection of data and systems, control access, and respond automatically to security events. - Best practices for implementing the principle of least privilege. - Enable monitoring, alerting, and auditing to quickly surface security issues. - Make security a pervasive focus at all layers of your workloads. - Leverage automation to enforce security best practices. - Prepare yourself for the eventuality of a security event. In this webinar, we will dive deep into the 'Reliability Pillar' of the AWS Well-Architected Framework. This pillar focuses on the ability of a system to recover from infrastructure or service disruptions, dynamically acquire computing resources to meet demand, and mitigate disruptions such as misconfigurations or transient network issues. Amazon Web Services (AWS) has spent years working with thousands of companies across all industries to create the most comprehensive collection of best practices and guidance known as the Well-Architected Framework. This resource is available for organizations undergoing a cloud transformation who want to ensure their success on AWS. In this webinar, we will tackle the 'Operational Excellence Pillar' of the AWS Well-Architected Framework. This pillar focuses on running and monitoring systems that deliver business value, and continually improving processes and procedures. - How operational excellence is a consequence of culture. - The six design principles for operational excellence in the cloud. - The focus areas of cloud operational excellence. - What operational excellence looks like in practice. Mission is a trusted managed services provider and consulting partner for businesses using – or migrating to – Amazon Web Services (AWS). 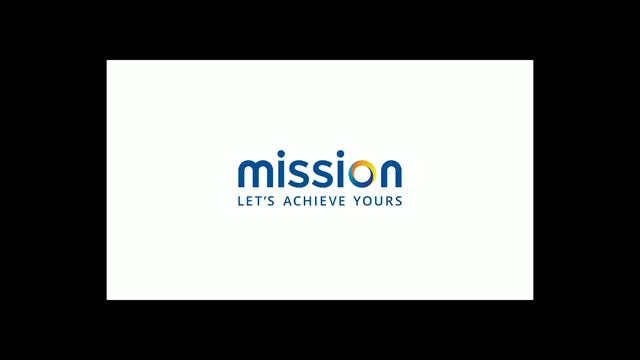 Through its dedicated team of expert cloud operations professionals and solutions architects, Mission delivers a unique breadth and depth of AWS-recognized technical and strategic proficiencies. Mission combines this know-how with an anything-is-possible belief in the power of cloud transformation through AWS, and a dedication to understanding and solving customers’ individual goals and challenges – enabling their development of new and powerful applications running on the AWS Cloud.